Eastern filbert blight is a disease of filbert and hazelnut trees (Corylus spp.). It is caused by a native fungus. 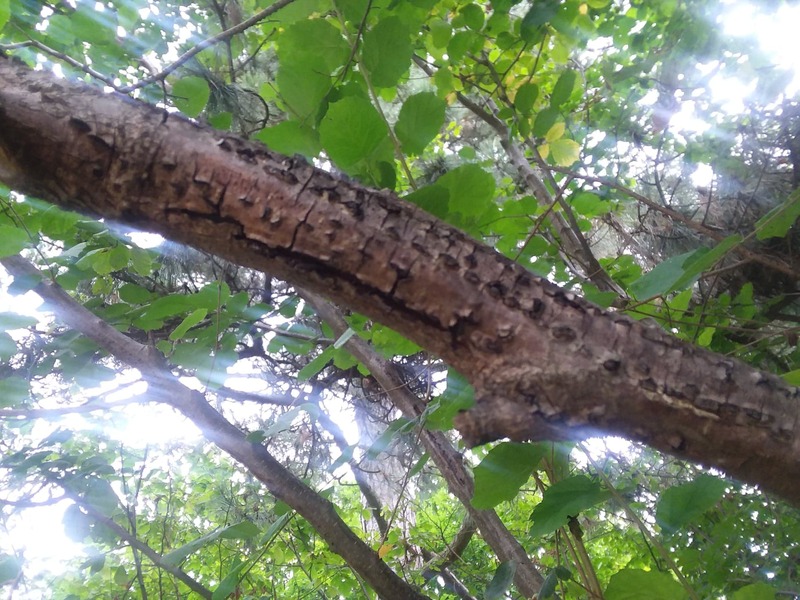 In a natural setting, filbert blight causes a relatively minor disease on native American hazelnut shrubs (Corylus americana) causing small cankers on the stems and branches. However, the disease is lethal to introduced and commercially important European hazelnut (Corylus avellana) in orchards. Early in the infection, the pathogen produces football-shaped stromata on new shoots that are typically lined up along the branches. As the disease progresses, symptoms can include branch dieback. Management begins with regular scouting.There is no cure for Eastern filbert blight. If you see an infection, affected branches should be pruned two to three feet below the cankered area and the branches destroyed. Those branches should be burned if allowed, buried deeply, or chipped. Chips should be allowed to dry to kill the fungus. Pruning tools should be disinfected after each cut. I have been watching a landscape planting of three hazelnuts. A year ago I noticed the infection on one tree. This year it has spread to the other two specimens in the general area. The tree that was the first to be infected is nearly dead. Pruning and removal of infected material needs to be implement quickly before it is too late. Check out the FactSheet from University of Wisconsin for additional information.